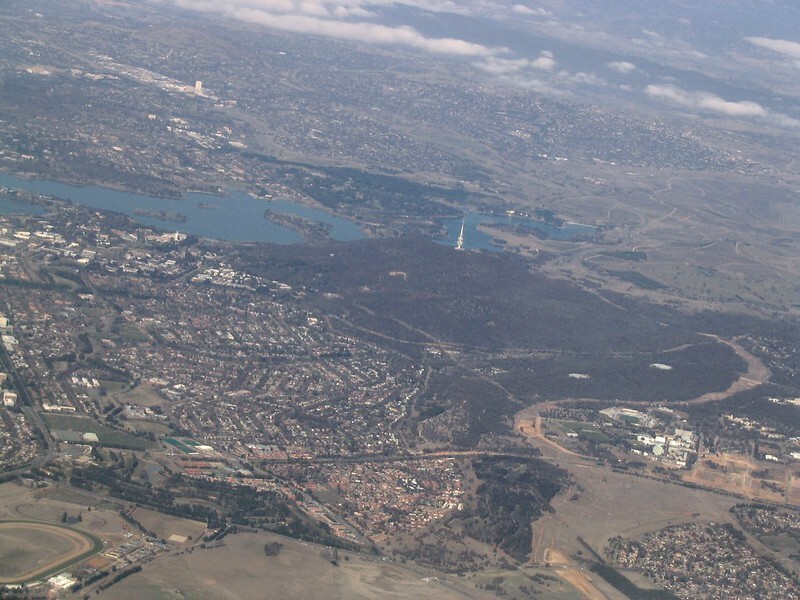 Almost all my photos from August 2005 seem to be from a three day Canberra trip (actually the only time I’ve been to Canberra). I remember it being cold but fun. 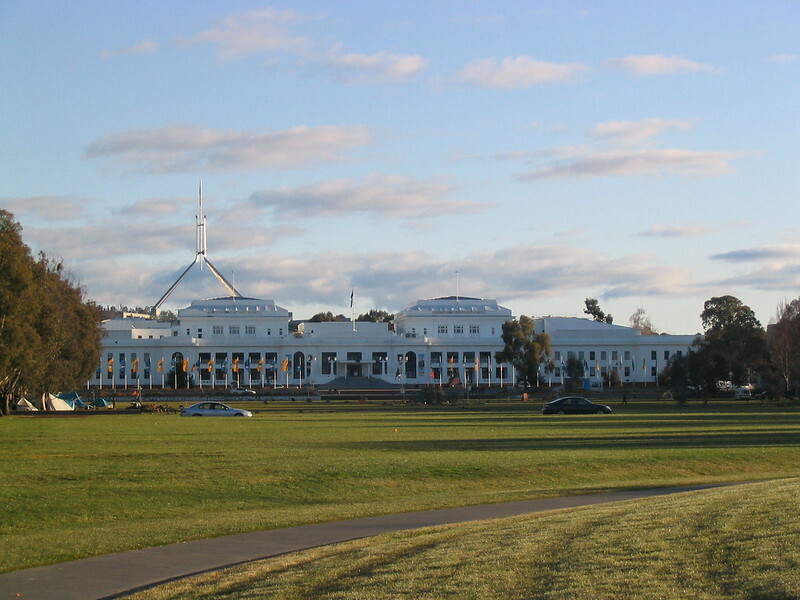 And many of the photos are from around the Parliament Houses (old and new). 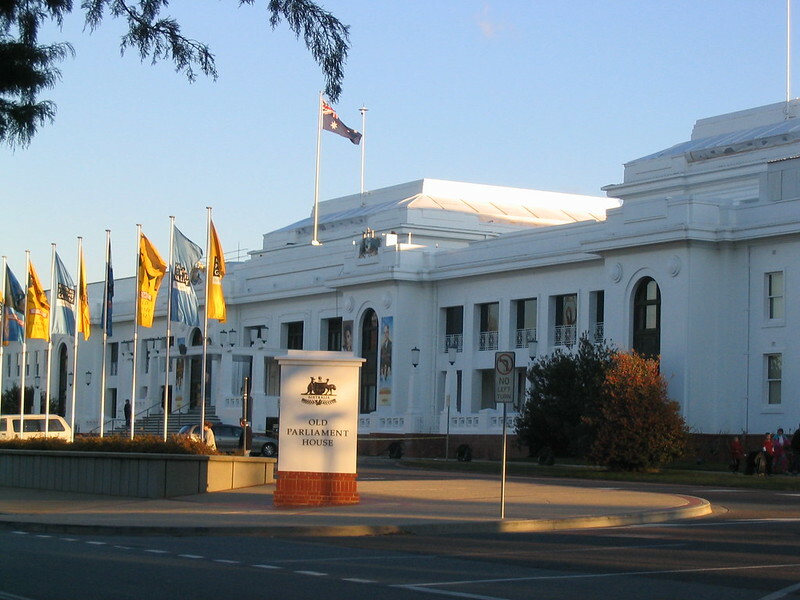 New Parliament House. I think this was the approach from Canberra Avenue. Obviously there were works going on at the time. It’s rather impressive up close. At the time there seemed to be pretty free easy access to the top. Can you still go up there? 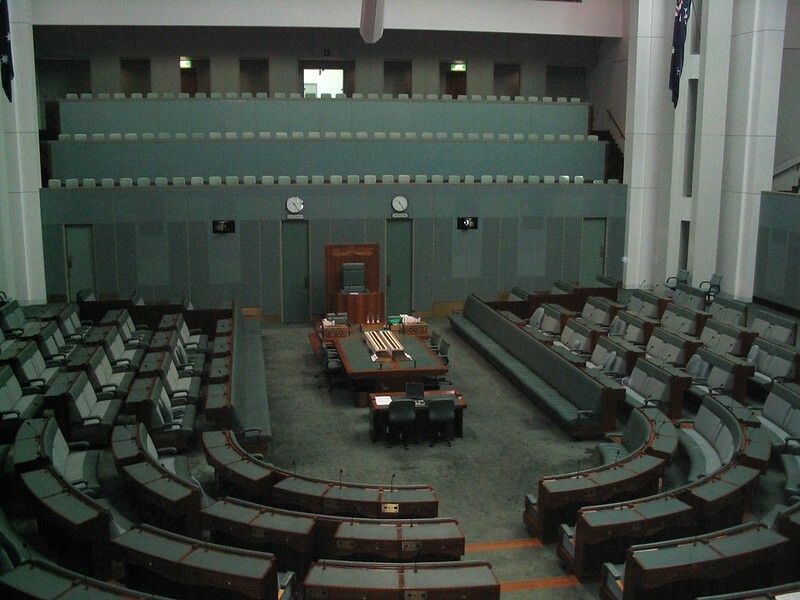 Inside: the House of Representatives. 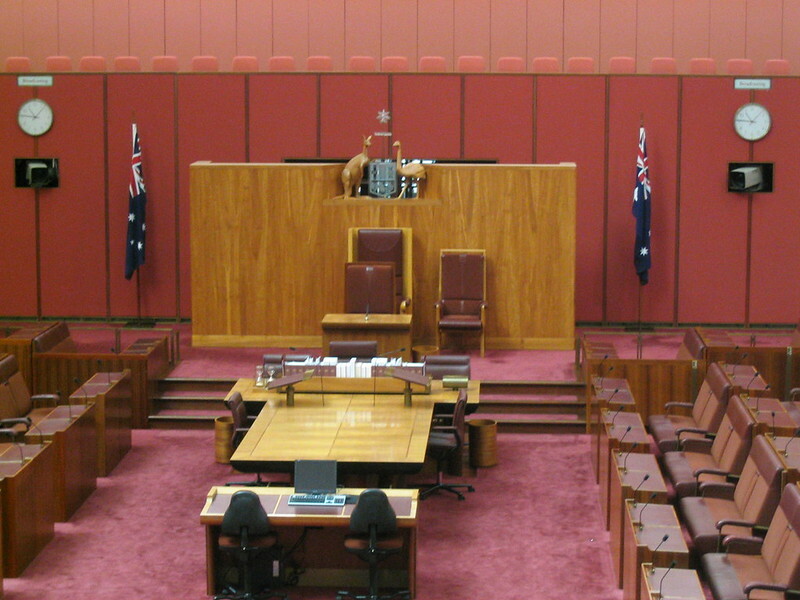 The Senate. In contrast to some of PM Abbott’s appearances, only two flags — almost seems unpatriotic in comparison. A panorama from the roof of Parliament House. Use the scroll bar to move across, or view the large size at Flickr. 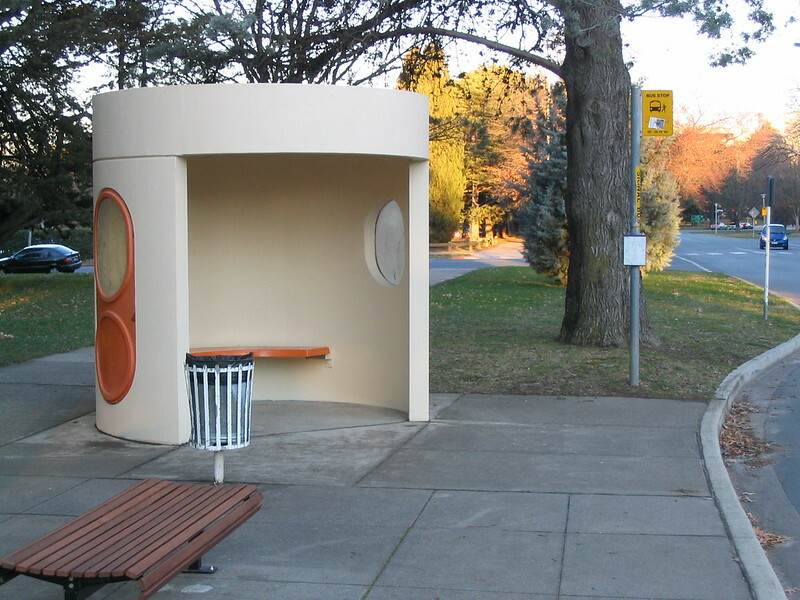 A typical Canberra bus shelter. They look funny to this Melburnian’s eyes, but you can’t deny they’d provide actual shelter from the weather, unlike the glorified advertising billboards we often get here. 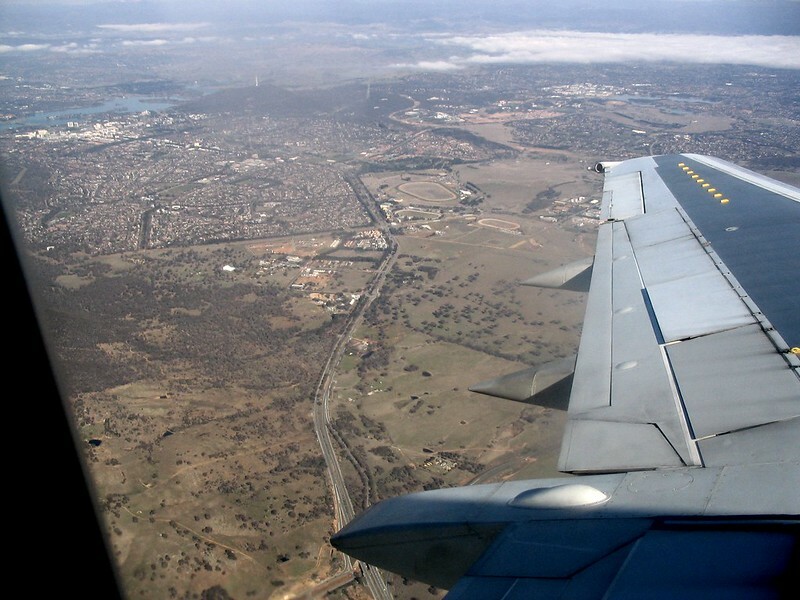 This was snapped out of the plane window as we left Canberra. Makes you realise how low-rise it is (or at least, was). The Black Mountain/Telstra Tower. Shame we didn’t get a chance to go up there. 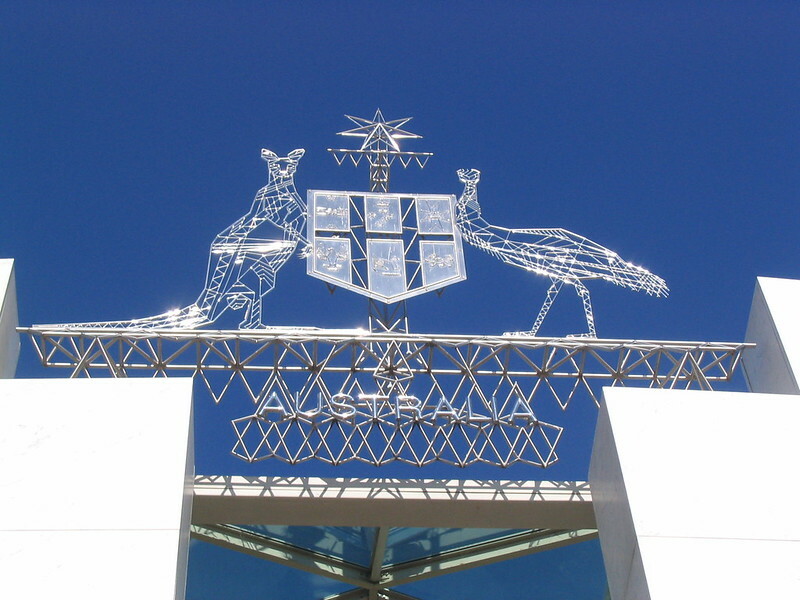 Love the snap of the coat of arms – sort of modern (steel) meets old (aboriginal art). 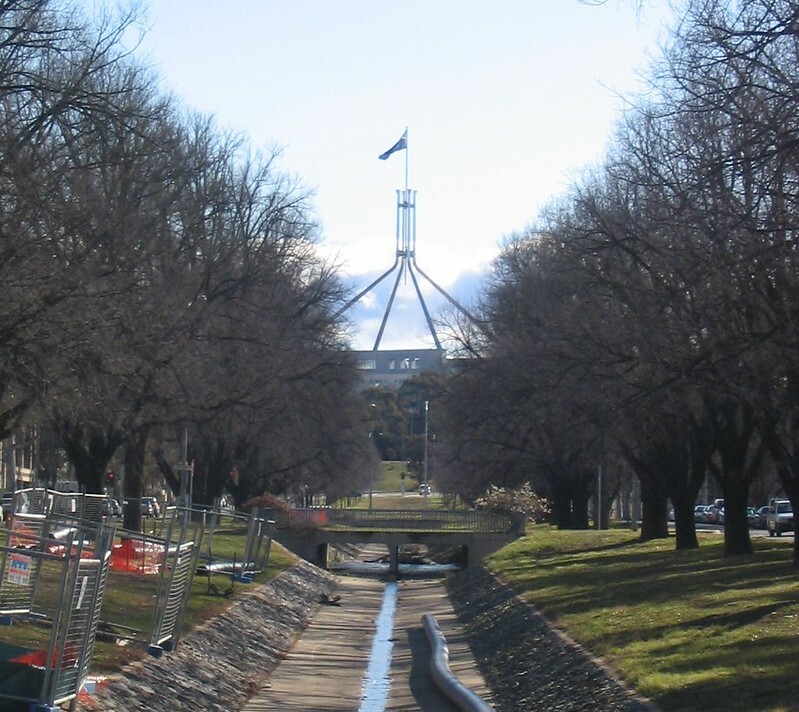 By the time my kids were 12, they’d visited every state and territory – except ACT. They still haven’t. Sadly a lot of those bus shelters have been replaced with glass advertising boxes. But they were pretty good; indestructible, and schools occasionally got the kids to paint them. Canberra used to have laws against billboards etc, I assume the bus stop advertising doesn’t count. Or they changed the laws. The 1970s brutalist Canberra bus shelter is one of those things of which the best you can say is, ‘It seemed like a good idea at the time.’ When dirty, which is usually, they’re an eyesore. Sit down inside, and you can’t see the bus coming. And you NEVER see more than one person sitting (except friends), because people don’t like the sense of enclosure with strangers. They’ll stand in the rain rather rather than enter a shelter where someone is already sitting. They are no longer used. 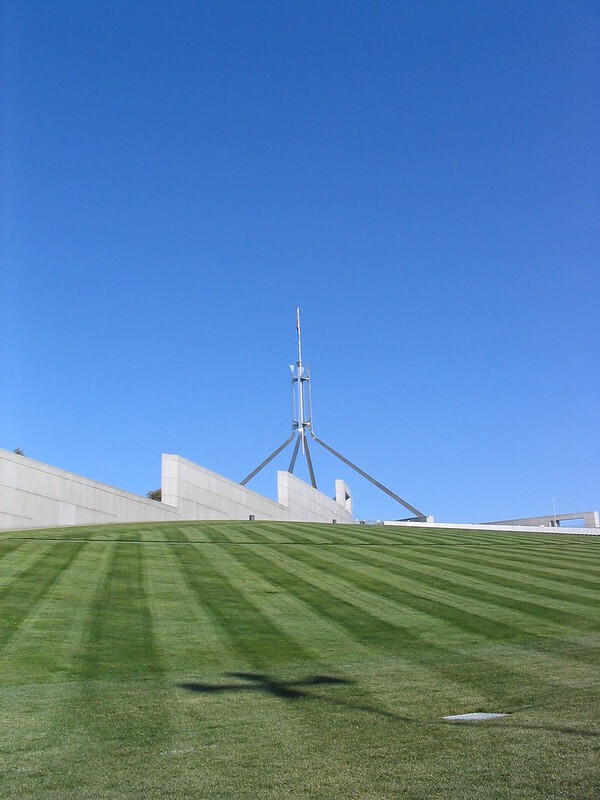 Two years ago there were no restrictions for us going on to the roof of Parliament House. We did not find security to be troublesome.